Hey Chattanooga! You NEED Fit4Mom! As the understatement of the year, having a child and taking time off work to care for that child, no matter what the longevity of time and what degree of help one has, is quite an exciting and overwhelming experience. But after a month or so, family and friends tend to dissipate, going back their normal routines, and a new mom and baby are left to navigate a new routine of their own. As a new mom, a new SAHM, or a mom with a new work-life balance lifestyle change, this can be a time of tough adjustments and isolation. Many of us would like to start taking care of ourselves to get fit again or even for the first time so we have the energy to take better care of our babies. But many new moms aren’t comfortable with gym daycare yet, or the gym in general, or don’t want to miss out on early bonding, or are nursing or just lacking the motivation and/or support. One organization that can help is FIT4MOM! Fit4MOM specializes in creating fitness classes made by moms for moms, working to help moms gain strength for motherhood and life. They offer prenatal, post-natal and stroller fitness classes. 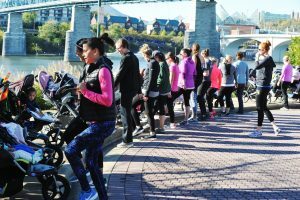 The flagship class, Stroller Strides, is a stroller-based fitness program designed for moms to get a full-body workout with their babe(s) in tow. I discovered Stroller Strides (Fit4MOM) in Austin, TX in 2011 when my youngest was 2 months old on a free pass and ended up signing on for almost 2 years and loved every minute of it. The classes were fun and convenient and not only helped me with my fitness goals, but helped with meeting other new moms in the neighborhood and created socializing opportunities for our kids. It was really just was a great first step to get out of the house and network with great fitness instructors and mothers in a supportive environment. MomSoure Network caught up with Rachel McClellan, who just opened a brand new FIT4MOM branch in Chattanooga, TN. MSN: Tell us about FIT4MOM? How did it get started? Rachel: FIT4MOM was started about 15 years ago by a mom/former fitness pro, Lisa Druxman. She wanted to continue her career in the fitness industry, but didn’t feel great about leaving her baby in a gym daycare. 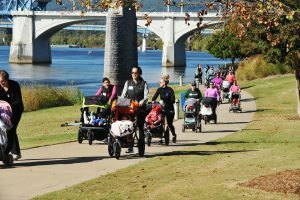 So she grabbed some mom friends and began a stroller fitness class, called Stroller Strides. The class exploded and the company was founded shortly after. For years the company was called Stroller Strides, but the class offerings have expanded and now we are called FIT4MOM. The class offerings also include FIT4BABY, Stroller Barre, Body Back, and Run Club. MSN: How did you get involved? Rachel: I happened upon a grand opening one morning while looking up an at home workout. I threw some clothes on and grabbed my baby and showed up to class 30min later! I showed up almost in tears of excitement that I had found a workout that I could bring my baby and meet other mom friends. I was a SAHM without any other SAHM friends close by. It was so hard and I was so lonely! 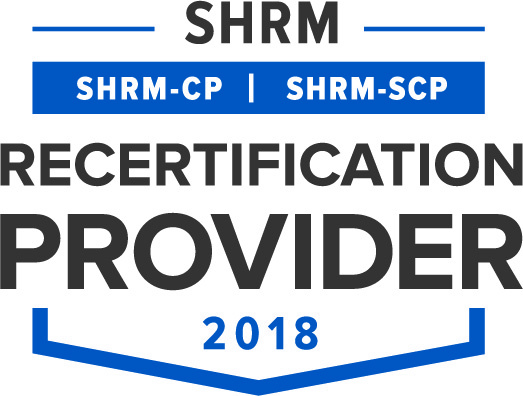 I started classes and was asked to get certified a few months later. I began teaching in the Chicago franchise and when we learned we were relocating to Chattanooga, I knew I needed FIT4MOM here. There was not a franchise in the area, so after a year in the making I finally bought the franchise and had our grand opening in Chattanooga! MSN: Who is your typical member? Rachel: MOMS! Haha! Our goal is to reach all of the moms we can! We welcome Stay at home moms, work at home moms, part time working moms, business owner moms, and working moms. We are working on getting a working mom class up and going that will offer evening and weekend classes. MSN: What does a typical workout involve? Rachel: Our workouts are created in an interval structure. We do a quick warm, get moving for some cardio and then continue with 4-5 strength based stations and 4-5 cardio bursts followed by abs and stretching at the end. We sing or entertain the kiddos while we workout and make sure to keep it fast paced and exciting for them. After class the kids get out and play and enjoy themselves while the Mommies chat! MSN: Do you offer other services as well? Rachel: We offer weekly play dates, monthly moms night outs, and quarterly moms and a mission (charity events). MSN: How does the membership work? Rachel: We offer an unlimited monthly membership and some class pass options. MSN: Where do you meet? Rachel: We currently offer Stroller Strides 5 mornings a week. MWF 9:30am @ Coolidge Park, TU/TH @ Imagination Station (we have indoor locations for cold/rain). There are about 300 franchises around the country, totaling to over 1,000 locations nationwide. MSN: Why should moms come to FIT4MOM? Rachel: I think that the REAL value in FIT4MOM is the community aspect. Of course, our main product is our workouts (and they are fabulous). But, I found the real value to be from the connections I made with other mommas. Mothering is really hard work, and it is so nice to be surrounded by women going through the same struggles and successes that you are going through; you are working out and interacting with someone who also didn’t sleep last night or has a teething toddler or gassy baby. There is a connection that you really can’t find anywhere else when it comes to a gym or health club. The moms come to sweat, but also really support and encourage each other.